While a lot of nutritionists will advise anyone wanting a healthier diet to stick to the everything in moderation rule, occasionally there are some exceptions; some foods are a complete no-go for nutritionists for a variety of reasons. Whether it's the fact they contain pretty much no nutritional value whatsoever or just that there are healthier alternatives, here are 10 foods nutritionists give their decidedly negative perspective on. Vanessa Quarmby, a dietitian and nutritionist at Heck, said, "when I deliver nutrition training I do a sugar game and the amount of sugar in a packet of sweets is quite astonishing. Sugar has no nutritive value, therefore I see no point eating something that has no benefit to my health. Cakes, biscuits, sweets, convenience food and drinks have far too much sugar in them as it already is and we should eat far less." Amanda Hamilton at Vita Coco is pretty adamant here: "I won't go near diet foods of any type. Diet foods by definition are processed - the fat has been reduced or there's been artificial sweeteners added." She went on to say: "The whole concept of low-fat eating is old fashioned and artificial sweeteners are disruptive to gut health and can lead to more sweet cravings long term. I prefer to keep things natural." Kim Pearson at BetterYou says factory farmed meat is a no-go, "for health and animal welfare reasons". Some of us will have seen What the Health by now, but for the uninitiated, it demonstrates that it's not all sunshine and rainbows at the grocery store. In order to ensure you're not consuming toxins you shouldn't in animal meat, make sure your meat is ethically sourced. Katharina Kaiser, a nutrition specialist at Freelectics said she won't touch fizzy drinks. "I try to keep my food as natural as possible and I try not to overdo it, but when it comes to energy drinks or Coca-Cola, I just don’t get it. If you drink those beverages because you simply want to be more awake, why don’t you just drink an espresso or a matcha tea?" No excessive sugar and the same amount of energy. You don't have to give this one up completely (because it's probably going be quite hard). Nutritionist Rhiannon Lambert says: "As a believer in all things in moderation, I'll try just about anything but I'm no fan of condiments in general - especially shop-bought ketchup." "With it being heavily processed and full of sugar, I just can't see how a side portion of roasted vine tomatoes isn't seen as the better option, every single time. They burst in your mouth!" An interesting addition to the list for some people like Steph Williams, a nutritionist at Weight Watchers, it just doesn't go well with anything. She says it "tastes like washing up liquid" and turns her stomach when she thinks about it. There could be truth to this claim, as sometimes our bodies find it difficult to metabolize coriander. 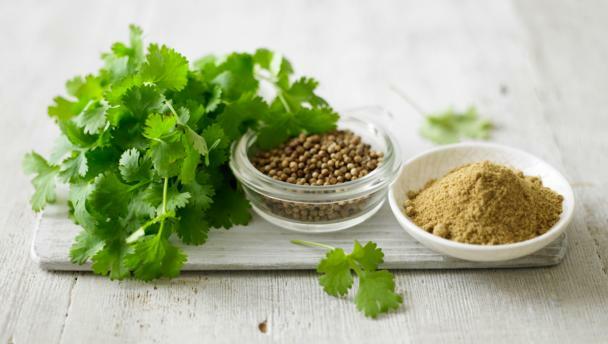 Coriander's mere presence in the body system could be disruptive. Processed meats can sometimes be difficult to avoid, but leaving them out could be very beneficial. Manal Chouchane, a clinical nutritionist at BioCare, says: "I steer clear of processed meat like salami or hotdog sausages, etc. Very often these contain additives, artificial colourings, small amounts of poor quality meat and trans-fats." "Such ingredients can be detrimental for our health as they can increase our cholesterol levels, and only provide us with empty calories with not much nutrients at all." "They are produced by passing hydrogen through an oil at high temperature and under pressure to chemically alter liquid oils to make them into solids. Consuming them is as unnatural to the body as if you were to consume plastic – your body doesn’t know what to do with them, so they can cause all sorts of unhealthy processes to occur." Greasy, high fat, high-salt foods make some people extremely bloated. You may not want to hear it, but Chinese food is all of those things and much, much more. Faye Townsend, a nutritionist at Protein World, agrees with me and continues: "a large proportion of the Chinese takeaway menu consists of fried foods." "Fried foods contain high levels of saturated fat and sodium, which the body struggles to digest. Excessive salt consumption causes the body to hold onto water, and water retention is one of the main causes of bloating, which makes me incredibly uncomfortable." This convenient, cheap alternative to butter shouldn't really be consumed. Cassandra Barns, a nutritionist at Cosmopolitan, suggests you avoid any type of margarine or vegetable cooking oil, like rapeseed oil and sunflower oil. She suggests using coconut oil, butter or olive oil (if you're cooking at lower temperatures). "Sadly many people who aren't qualified in nutrition are advertising their own dos and don'ts around food, and people have now developed fear around certain foods. This promotes an unhealthy relationship and possible disorder eating patterns. Ideally, you shouldn't avoid specific foods unless you have a diagnosed food allergy or intolerance, and in this instance, you should work with a dietitian for support. All foods have a role to play as part of a balanced diet." 'Never' seems harsh, but these nutritionists suggest these things with the best intentions in mind. As usual, remember that even a lot of good things can be bad for you, and you can treat yourself to a slice of salami from time to time (I usually have it on a pizza and no one is telling me I can't have that) without feeling too guilty.